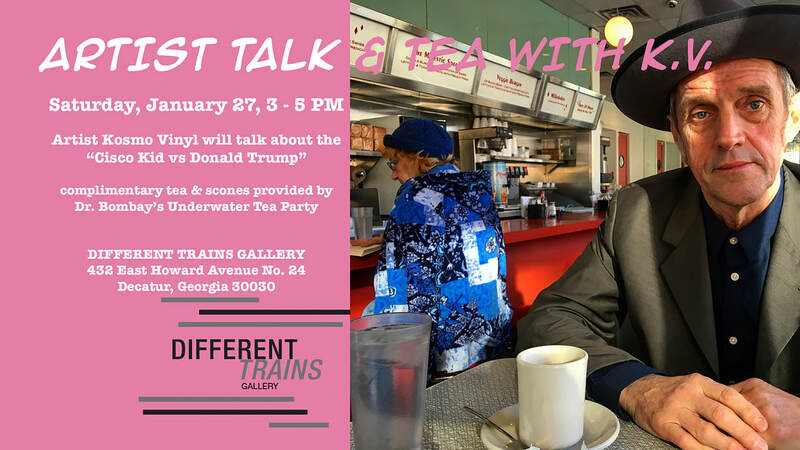 DIFFERENT TRAINS GALLERY is delighted to welcome Kosmo Vinyl back to the gallery for an artist talk & tea on Saturday, January 27, from 3 - 5 pm. 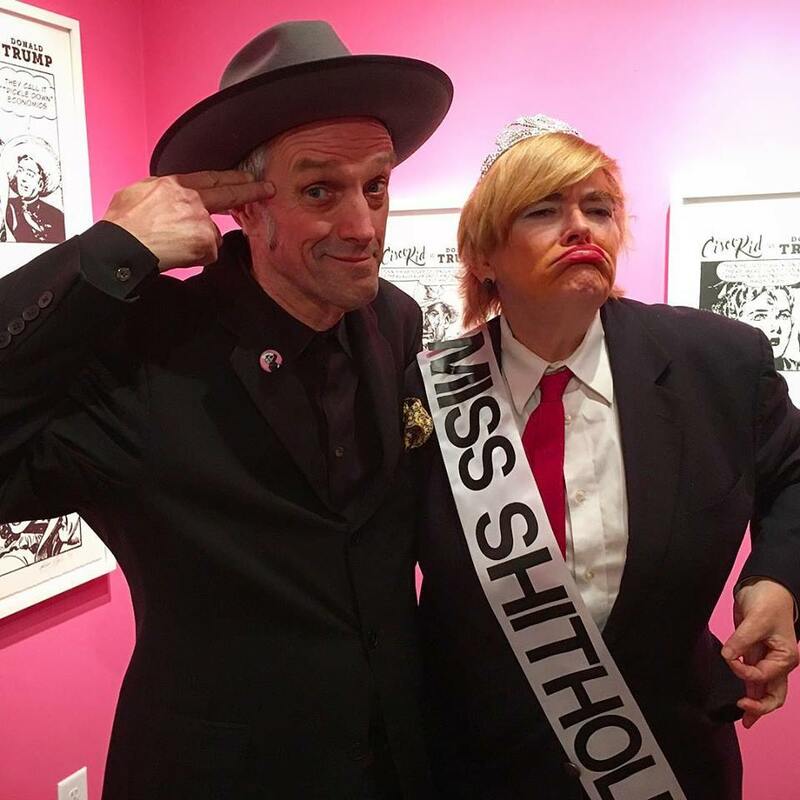 Kosmo will discuss his current exhibition, "Cisco Kid vs Donald Trump", which is on view through March 3. Kosmo had a lovely chat on City Lights with Lois Reitzes the day before the show opened, which you can listen to here. Complimentary tea & scones will be provided by Dr. Bombay's Underwater Tea Party. Please RSVP by clicking "going" on our FB event page. Space is limited so arrive early. The gallery will be open from 11 am - 5 pm. Street parking is limited. We recommend using the deck at The Arlo on E Trinity Pl, $2/hr.